We have had a couple of building issues at THS today. First, a water line burst around 9:30 this morning. 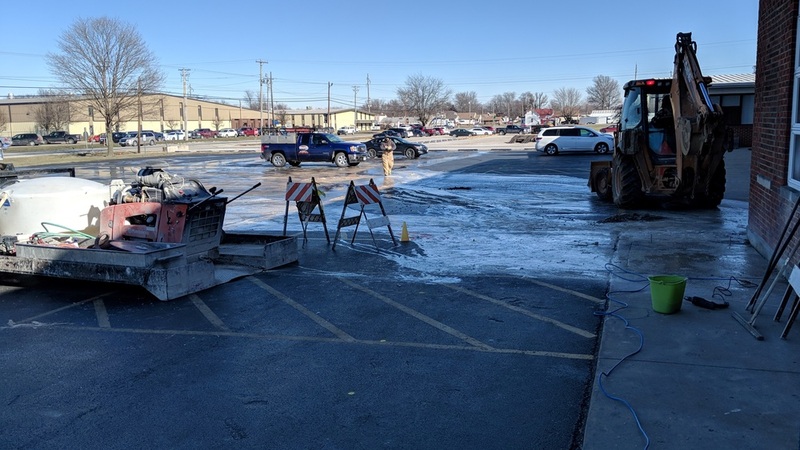 After we shut off the water to the old section of the building, crews were able to cut away some concrete and find where the water line was broken and now have it repaired. Also, in the process of locating the water line, a steam leak in a pipe from the boiler was found. Workers are still working on that issue, but the boiler will still be operational for tomorrow. We believe that school can be held as usual at THS tomorrow with the following exception: Students not riding buses should enter the THS building from the east cafeteria doors tomorrow morning. Please do not walk across the parking lot in front of the unit office and gymnasium.